Under the series title “Masterclass Modelling”, Mike has published 2 books so far: the out of print “Pieces of the Puzzle” and the sublime “Detailing Track”. As an e-book Covered Hoppers, Volume 1 of a promising series on modern freight cars, has also appeared and provides detail photos that every modeller of these vehicles need. I don’t model these vehicles, but being fascinated by the prototypes, I bought it and learned quite a lot in the process! “Pieces of the Puzzle” was Mike’s first venture into publishing, and as he admits, was a “learning experience”. It is now out of print, but Mike feels that issues 1 and 2 of The Missing Conversation make a fuller and clearer exposition of his thoughts on this title. I will review this no further, except to say that I really enjoy re-reading it. If you want to learn how to achieve this, then the book is for you. I would have liked a bit more information on track from 100 years ago, when things were less standardised, and more generally on the placement of switch stands, but if you think track is a model in its own right and a key component of the whole modelling scene, then this book is for you, regardless of the country, period and prototype of your modelling, and I would advise that you order it now! 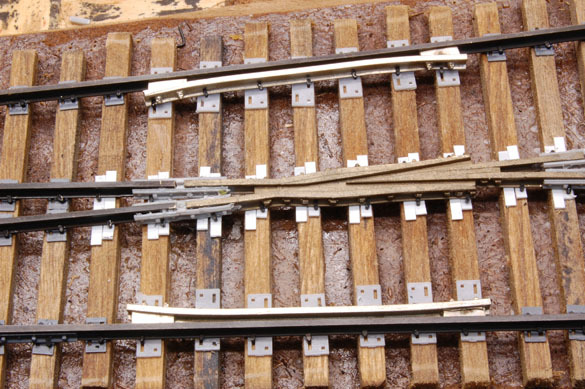 A scale model should be consistent from top to bottom, including the wheel profile and track gauge. If the hobby is worth doing, it is worth doing well. Volume 4 – Craftsmanship. Featuring the work of Tony Sissons in 1:87 and Tom Mix in 1:48. Volume 5 – Switching: More than meets the eye. Operations from the perspective of real railroaders. 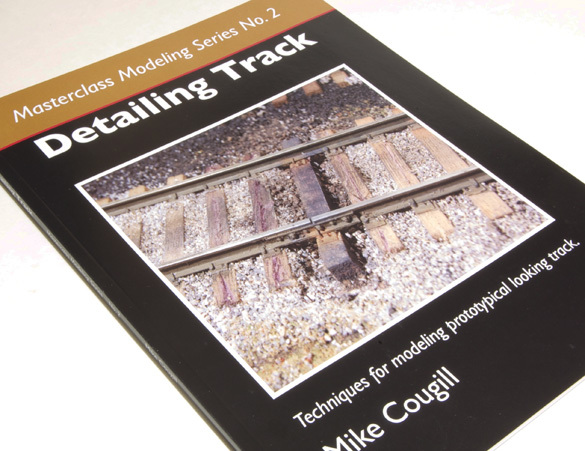 There are also two free special editions, Starting in Scale Modelling and Questioning Normal, and Mike has produced two useful short introductory pieces on track, Handlaid Track and Turnouts, which are free to download and disseminate (which is what I have done here. In short, if you want someone to tell you what to think, Mike’s published output is definitely not for you. But then, if that was the case, I doubt if you would have read this far. Would you enjoy The Missing Conversation? I cannot say, but download the free articles, and if you enjoy them, you can ask yourself the correct question! The Missing Conversation provides thought leadership for the hobby. Pictures reproduced with kind permission of OST Publications. This entry was posted in Modelling, Opinions, Thinking on September 10, 2013 by Simon.